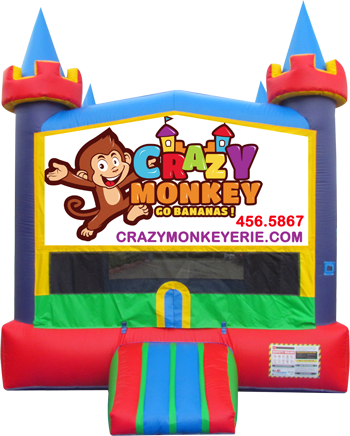 The Crazy Monkey Castle bouncer has the friendly monkey on the front with vibrant colors for all. This bouncer has a 15x15 bounce area, a basketball hoop inside, and is commercially made in the USA. Your party or event will be complete with a super fun bounce house to keep the kids busy for hours.